BASKETBALL: Blair Smith's on-court record spoke for itself. He played 259 games in the NBL, scoring 1261 points, with 917 rebounds, 239 assists and 184 blocks. The former Gladstone Port City Power Capricorn Surge coach's standing was reflected in the heartfelt messages of sympathy and tributes that flowed in the wake of his death last December. It is also epitomised by the number of players, past and present, who wanted to be involved in a tribute for the highly regarded family man, athlete, mentor and friend. The Blair Smith Memorial Game will be played at Kev Broome Stadium on Saturday, December 15. It will feature teams from the Capricorn Coast and Gladstone, two basketball associations with which Smith was heavily involved. Event organiser Danny Robson first floated the idea of an old boys game and from there it had "just steam-rolled". 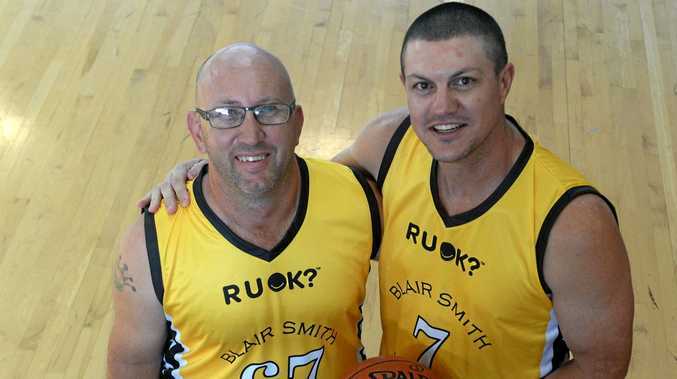 Former NBL and QBL stars were quick to lend their support, as well as local talent that Smith had helped nurture in his time at Cap Coast and Gladstone. Robson was overwhelmed by the response. He said everyone was honoured to be involved in the event which will raise money for Smith's family. Entry will be by gold coin, and there will also be an auction of memorabilia, much of which Smith had previously donated to Gladstone Basketball. The game will also promote the work of R U Ok, the suicide prevention charity which aims to start life-changing conversations. Robson said Smith's teenage son Brayden would play with the Gladstone team. "I'm getting goose bumps just thinking about it. It's going to be really emotional stepping out on that court," Robson said. "Blair was one of those blokes who would do anything for anyone. "He was very humble and was always there to help you with anything." Robson will line up for Cap Coast alongside Tony Campbell, one of the Rockhampton Rockets' longest-serving players who racked up more than 400 QBL games in his celebrated career. Campbell first met Smith when they were trialling for the Brisbane Bullets in 1993. "I spent three months in the Bullets pre-season training with him every day, twice a day. "We didn't have a lot of time to socialise but when you spend that much time with a bloke you get to know the essence of them. "Even though he was a pretty young fella and pretty raw to the sport, he still had the respect of players like Leroy Loggins, Andrew Moore and Shane Heal because of the kind of guy he was." Campbell said Smith's death came out of the blue for a lot of people. "I've been pretty lucky. I haven't had to deal with mental health around my circle of friends and family a hell of a lot, not because it's not been there but because guys don't tend to talk about that sort of thing. 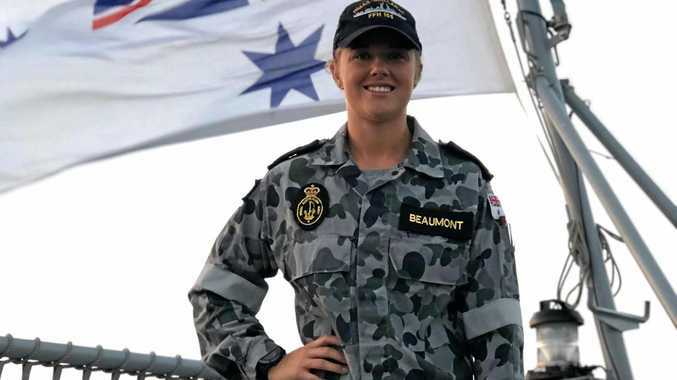 "It's probably a lot closer to a lot of us than we realise, and the more we can get the R U Ok word out there and promote what they stand for the better." Campbell said he was excited to suit up again, and was sure the game would be an entertaining one. "It's going to be like an under-12s game with a bunch of big, fat, hairy blokes instead. "A lot of us haven't played in 10, 15 or 20 kilos so we are well past our prime but we've still got that competitive fire. "I know we'll be bringing it and I'm sure that Gladstone will too. I've looked at the line-ups and they're both very competitive teams. 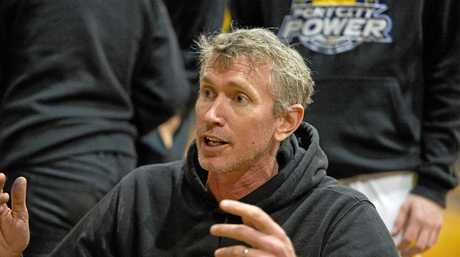 Back in the day, they would have been very good QBL teams so it's going to be a great game." If you need help phone Lifeline on 13 11 14, Beyond Blue 1300 224 636 or 000 if it is an emergency.